It was the SUNDUAN Festival on our town last Sunday (May 3) and I was able to watch it after watching the Famous Pacquiao and Hatton fight that I watched online. SUNDUAN - meaning "to fetch". 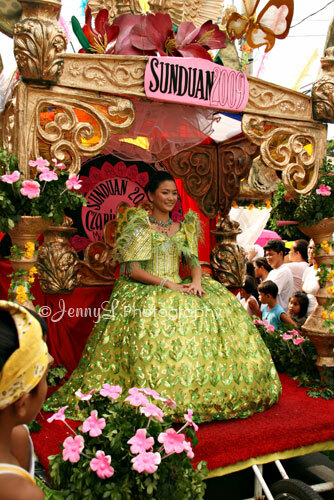 Sunduan is an old Filipino fiesta ritual that pays tribute to the Filipina's unique Asian beauty. 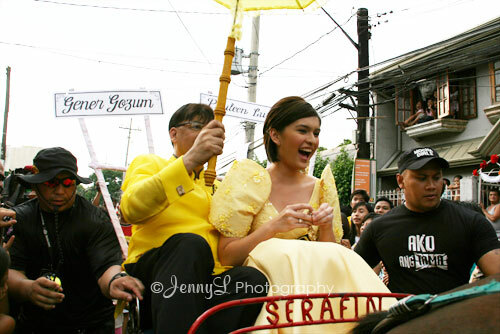 This is participated in by the muses and escorts of the town's different communities. These muses are then fetched by their escorts with the town Mayor accompanying them from the farthest end of the town to the festival site. 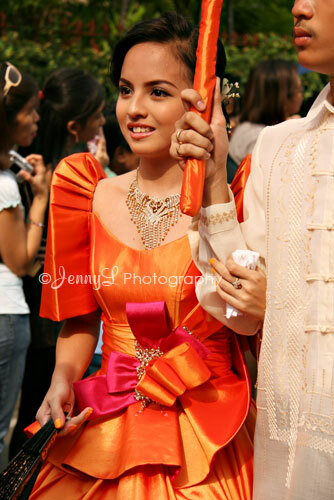 It was so hot that afternoon but I didn't go home not until I took photos of the beautiful muses parading. The festival was highlighted by the participation of our local movie stars like Toni Gonzaga, who is my townmate and lots more. The crowd went crazy when we saw them. The muses were all beautiful wearing their gowns made by our town's good designers and I am not sure if their have bustiers underneath them. It is held every year during the month of May.